If you’re like me, then you’re a huge Harry Potter fan. You’ve read the books, seen all the movies, and you’re so ready to go to Hogwarts. Well, now you can! 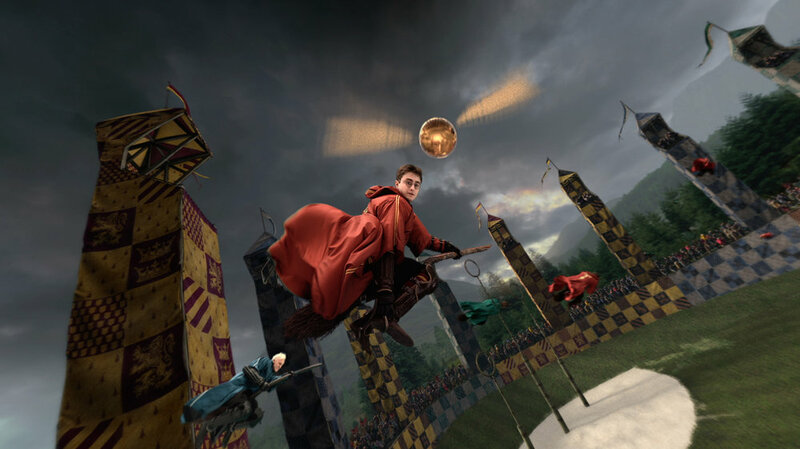 Universal Studios Hollywood has followed in Orlando’s footsteps and brought The Wizarding World of Harry Potter (WWHP) to Los Angeles. But in true Hollywood fashion, I'd say that it’s bigger and better here. Before you start your journey to Hogsmeade Village, check out my list of Muggle must-sees. At first glance, Harry Potter and The Forbidden Journey: The Ride seems to be just like the one in Orlando, but Universal Hollywood has seriously amped up this version. The ride is now in 3-D, and it has lots of sharp jolts and strobe lighting. If anyone in your party has back problems or is prone to motion sickness, they may want to sit this one out. It’s also a dark ride that has dementors, dragons, and spiders (oh my!) popping up out of nowhere. It can be pretty intense for younger kids, so just be aware. Luckily, this ride does have a child switch option, where you can adjust the intensity. (Bloody brilliant!) Due to lack of space on the ride, you'll be required to store your stuff in lockers. For this reason, I recommend traveling lightly when you head to the park, because the fewer lockers that you have to rent, the better. (Lockers are free for two hours, but after that, you have to pay.) Once you’ve locked away all your Muggle belongings, you’ll enter the Hogwarts Castle. The line winds through multiple classrooms and the school’s greenhouse. It’s pretty cool, but if you plan on riding The Forbidden Journey more than once, you may want to get through the queue a bit quicker, so try the single rider line. It takes you through a different part of the castle and also gets you on the ride much faster. Just know your party will be split up, but the ride has you separated in your own compartment anyway. KidTripster Tip: If you do want to ride again, don’t wait through the locker line for a second time. The ride lets you out in Filch’s Emporium next to the lockers. Just go back into the locker room and walk through it to the line. I know what you’re thinking, but it’s not cutting the line. The line in front of the castle is for the lockers, and you already waited in that! KidTripster Tip: You must be at least 48-inches tall to ride; the rule is strictly enforced. To get a feel for student life and school spirit, you must watch these two live performances on the Hogwarts stage. The Frog Choir is a student-lead a cappella group at Hogwarts. The students and their frogs sing songs, dance, and interact with crowd. It’s 13 minutes of musical fun for the whole family to enjoy. The other live show on this stage is the Triwizard Spirit Rally. To pay homage to Harry Potter and the Goblet of Fire, the students from Beauxbatons and Durmstrang both do dances for the audience. The girls do a lovely ballet and ribbon dance. Then the boys march in for a Russian-type pole dance. The whole routine lasts about five minutes. Both of these shows are genuinely entertaining and a great way to take a little break from all the walking around. KidTripster Tip: After the Frog Choir, the Hogwarts students line up for photos. Try to be on the right side of the stage at the end of the show, if you want to be first in line for the photo op. You can’t go to the WWHP without having some butterbeer and visiting Honeydukes. There's a couple of butterbeer carts in Hogsmeade. There’s one behind Ollivanders and another in front of Honeydukes. 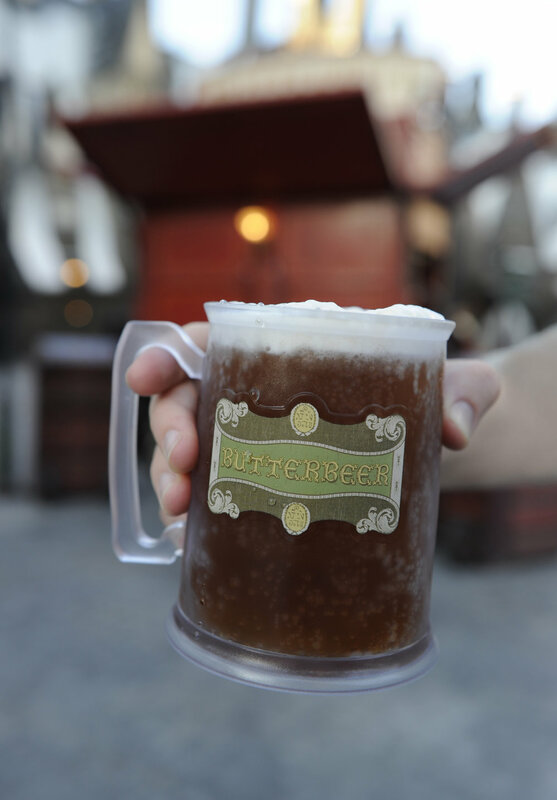 You can order a butterbeer in either the regular or frozen variety. Both are truly delicious, but I’m partial to the straight butterbeer; it’s more authentic, in my opinion. The other decadent spot in Hogsmeade Village is Honeydukes, the ultimate candy store that’s sure to satisfy any sweet tooth. It has every well-known treat from the movies and books such as Bertie Bott’s Every Flavour Beans and Chocolate Frogs, as well as some more obscure delights that you may not be familiar with like Pepper Imps and Clippy’s Clip Joint Clippings (try saying that ten times fast!). In addition to that, there’s a cold counter where you can order mini sundaes and delicious fudge in a variety of original flavors, including of course, butterbeer. KidTripster Tip: Butterbeers are sweet! Consider splitting one. KidTripster Tip: Don't go to Honeydukes or have butterbeer before going on The Forbidden Journey; these things do not mix well. Trust me on this one! You’ll find that there's no shortage of shops in Hogsmeade. They are all fantastic, but these two just stand out a little above the rest for me. I’ve always loved the owls in the Harry Potter movies and books, and Hedwig was one of my favorite characters. Now, you too can have your own owl! Okay, not really, but Owl Post does have stuffed owl puppets, which are the next best thing. The owls inside aren’t real, but you can send a real postcard with a real official Hogsmeade postmark on it. While you’re there, you also can pick up some stationery, Harry Potter stamps, and owl-related toys. My other favorite shop is Zonko’s Joke Shop, which is inside Honeydukes. It may be the smallest shop in Hogsmeade, but don’t let its size fool you; it has so much to offer. 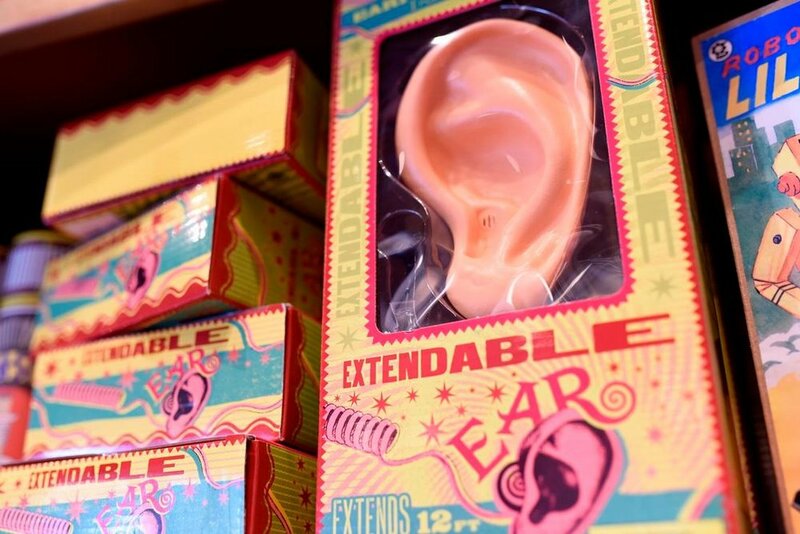 You can get all sorts of novelty items from the books and movies like Extendable Ears and Sneakoscopes, among others. This place should not be missed! The only dining in Hogsmeade is the Three Broomsticks. It serves breakfast, lunch, and dinner. In the morning, you’ll be able to get an English breakfast, continental breakfast, American breakfast or Eggy Bread. For lunch and dinner, it serves traditional British fare like fish & chips, shepherd’s pie, and bangers & mash. It also has a kids’ menu that includes favorites such as mac & cheese and chicken tenders. Even if you aren’t hungry, you should still take a peek inside. The attention to detail makes you feel like you walked straight into one of the movies. The effect is absolutely magical! Your wizarding experience would not be complete without a trip to Ollivanders, the wand shop. There are a few ways to experience Ollivanders. One, you can wait in line and see the wand fitting experience. This option is especially great if you have smaller children with you. Everyone crowds into a small room and gets to watch a wandmaker help someone find his or her wand. Usually, the wandmaker picks a younger child (around 11 years old) from the crowd for this encounter. The kid tries several different wands and spells until he or she finds the one; more accurately, "the wand chooses the wizard, Harry." If you decide to try this attraction, aim to go earlier or later. When the park first opens, everyone usually heads straight to Harry Potter and The Forbidden Journey and bypasses Ollivanders; so it’s an excellent time to visit. The wait gets longer as the day wears on and thins out again in the evening. Another way to experience Ollivanders is visit the actual shop. I personally like this way a little better. Inside, the walls are stacked sky-high with wands. Some are character wands, but the shop also has Ollivanders originals. These are generic wands that are marked by wood type. Here’s the really cool part: if you go up to any Ollivanders employee, you can ask him which wand should choose you. The employee performs an assessment based on your birthday or personality. This isn’t just for the kids; anyone of any age can do it! There’s one more way to experience Ollivanders. You can go to the cart in front of Hogwarts. It doesn’t have any of the Ollivanders originals, but it has almost all the characters wands available. It’s not super special, but if you just need a wand, it’ll do the trick. Now that you know how to get a wand, let me tell you what it can do. That’s right the wands have magic in them, and by magic, I mean technology. To make the WWHP feel more realistic, it has an interactive wand component. All of the Ollivanders originals have the tech inside, plus any character wand with a gold label. These wands come with a map of all the places in Hogsmeade Village where you can cast spells. It’s really cool. The wands are $47.95 a pop, but they don’t just work in Hollywood; these wands also function in the Orlando park. KidTripster Tip: In case your little witches and wizards want to wear their Potter garb but aren’t sure whether anyone else will be doing the same, let them know fans wear robes to the park. I’ve seen people of all ages show up in full Hogwarts uniforms. So don’t be afraid to go out in public with a robe and wand. You may even get compliments! 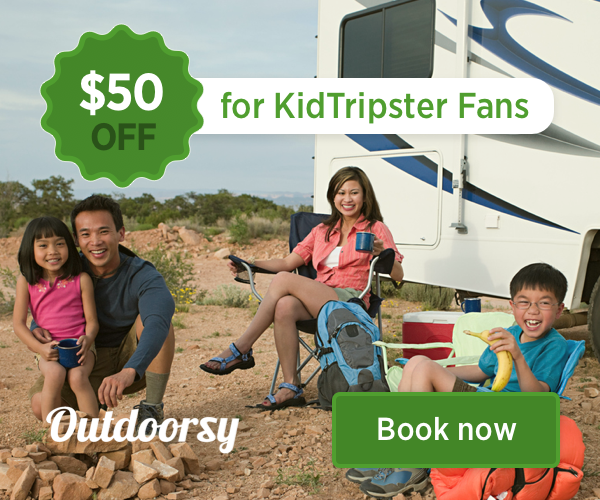 KidTripster Tip: Buy your tickets online. When you do, you get an extra hour of Harry Potter magic before regular admissions and even passholders. For more on what to do, where to eat, and where to stay while visiting Universal Studios Hollywood, click here.